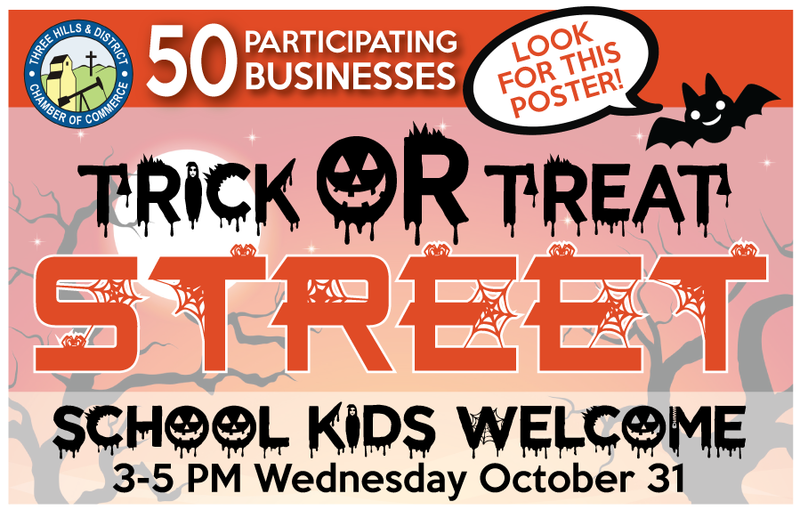 Join an extraordinary collection of goblins, ghouls and over 50 participating businesses for a monster amount of supernatural fun during Trick or Treat Street for school kids on the afternoon of Halloween Eve. Main Street stores and other businesses throughout town invite school age trick-or-treaters to fill their bags with delicious treats between 3 and 5 PM. Don’t miss this howling good time! Are you a participating business, but didn’t receive a poster? Call us at 403.443.5345 and we’ll make sure you get one!